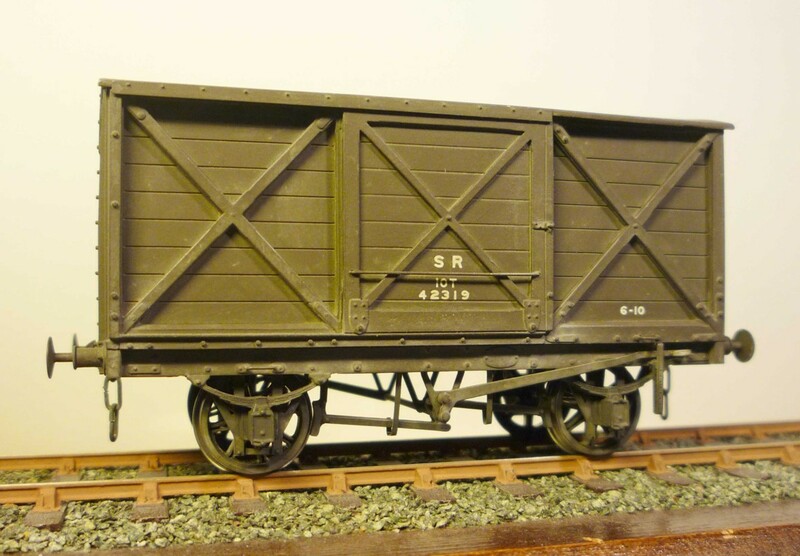 This Martin Finney designed kit can be used to build virtually all the variations of the 10ft 6in wheelbase un-fitted vans with timber underframes. 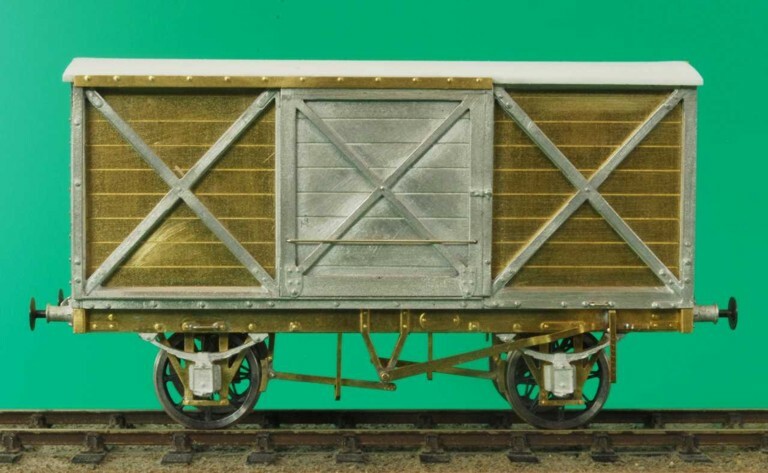 The LSWR and SR built nearly 3,000 of these vans and they lasted to early BR days in capital service, longer in departmental and Isle of Wight use. 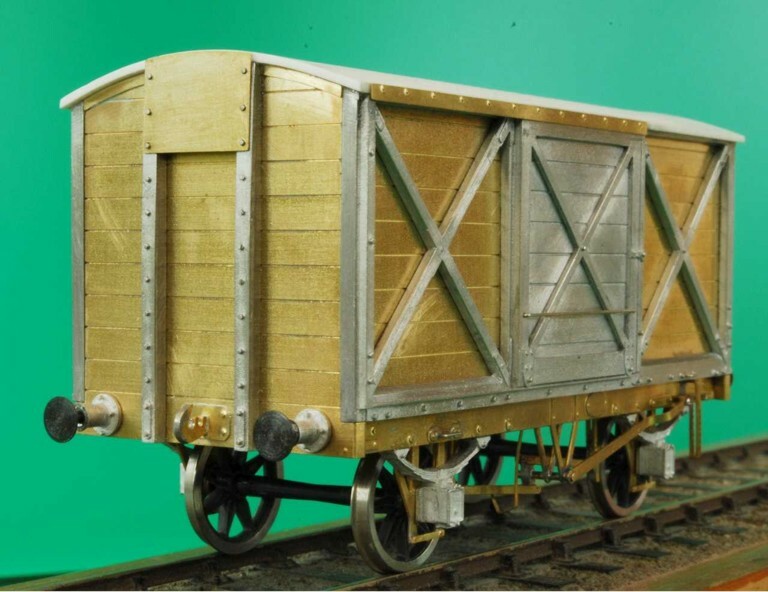 From late LSWR days they were ‘pooled’ in common use so could be seen throughout the country. The kit includes single block, double block, Morton and lift-link brake gears and a choice of Panter or Warner axleboxes. 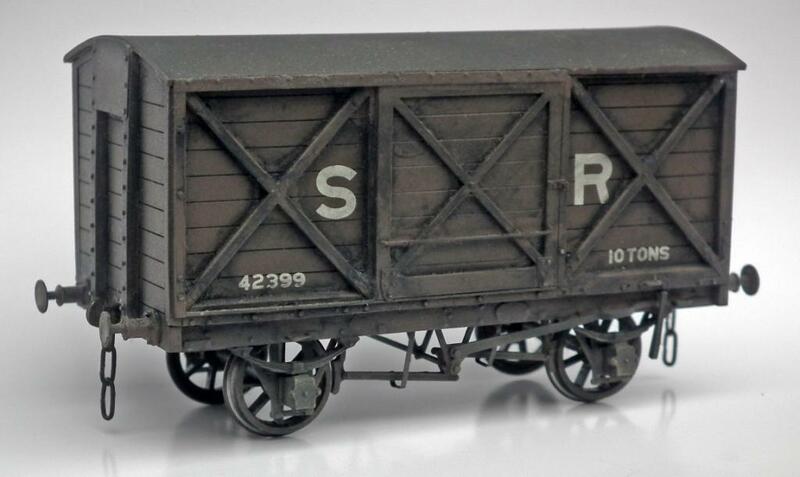 Wheels (3ft 1½ in split-spoke), coupling chain (3-link on the prototype), buffer heads of your choice and paint/transfers are needed to complete the kit.